A recipient of the Queensland Anzac Centenary Community grants program, round one, has received statewide recognition at the 2015 National Trust Queensland Heritage Awards. The annual Queensland Heritage Awards acknowledge outstanding activities in conserving and promoting our cultural heritage, including Queensland's historic and Indigenous heritage. 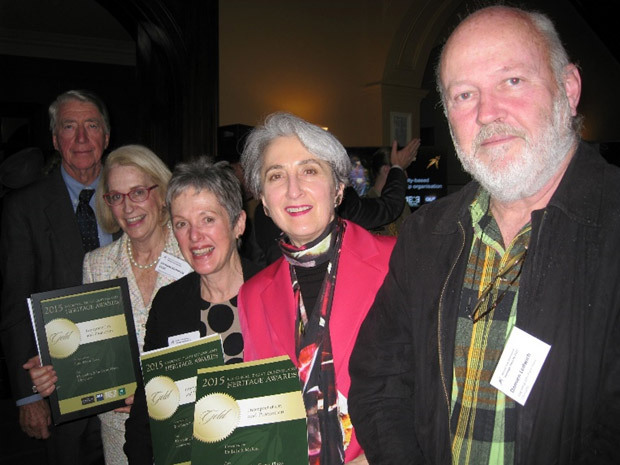 The Friends of John Flynn Place Association Inc. received a gold award in the Interpretation and Promotion category for the upgrading of John Flynn Place, a museum dedicated to the beginnings of the Royal Flying Doctor Service in Cloncurry. 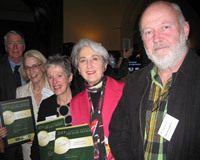 Awards in this category are presented to projects that demonstrate excellence in interpreting history and heritage and promoting to new and broader audiences. Dr Judith McKay, Honorary Curator of John Flynn Place said receiving the award was a real boost for the Friends of John Flynn Place team who work so hard for the museum. "Everyone involved is so proud that the recently opened exhibits have received this recognition and the publicity it's generated is already attracting more visitors to the museum," said Dr McKay. The upgrade of John Flynn Place included the opening of the Queensland Anzac Centenary grant project, Honouring Outback Heroes. This exhibit employs modern screen-based technology which tells the stories of four Australians who served in the First World War and who made outstanding contributions to the outback—individuals such as Eric Donaldson, a pioneer Flying Doctor pilot in Western Queensland and Nurse Grace Francis. "The most exciting aspect of this project was researching the four heroes we aimed to honour—it was a real team effort. "When the exhibit opened in April 2015 many relatives and descendants of were in attendance, some of whom have made personal contributions to the collection," Dr McKay said.